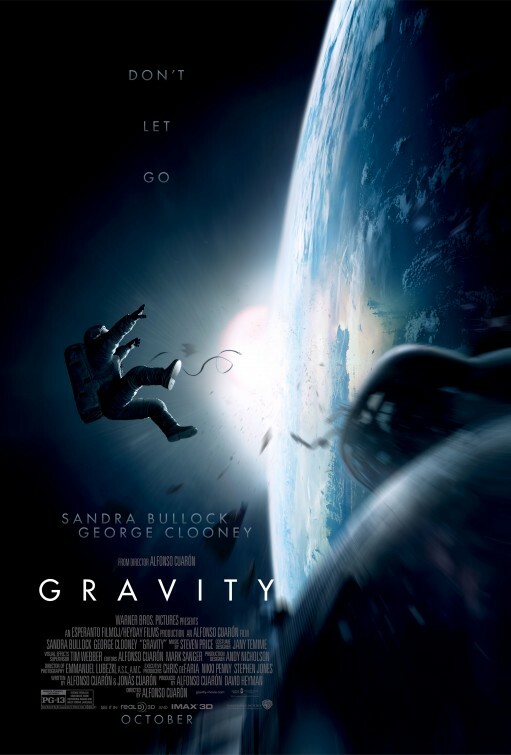 Starring: Sandra Bullock (Crash), George Clooney (Solaris), Ed Harris (Apollo 13) and more. Rating: Rated PG-13 for frightening sequences, disturbing images and brief strong language. Great science fiction movies are a rarity in Hollywood it seems nowadays and when one that not only pleases visually but also emotionally comes around it is important to sit up and take notice. 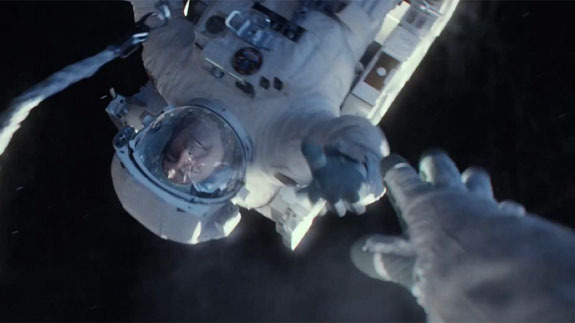 Alfonso Cuarón’s Gravity is one such movie. 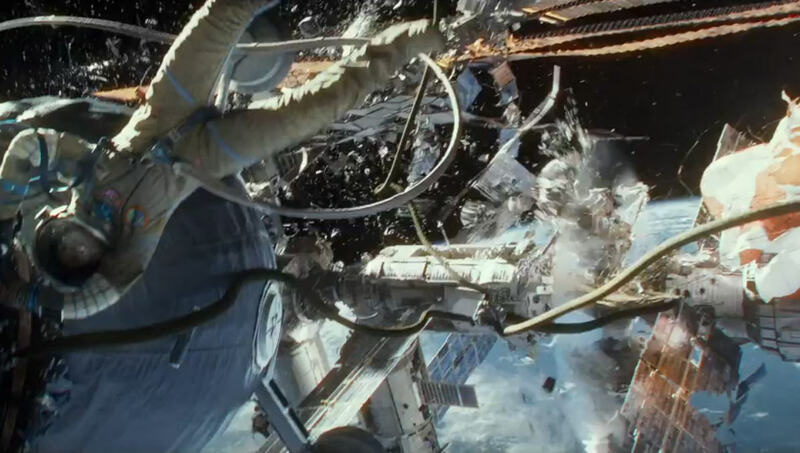 Strap in for a tense and terrifying ride in space alongside Sandra Bullock and George Clooney in this film that not only captures the beauty of space but also the attention of each spectator for its entire 90 minutes. 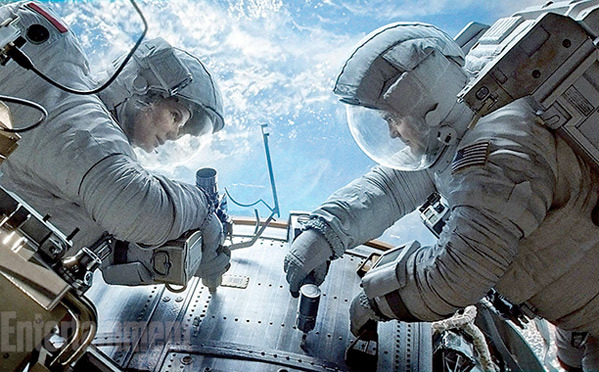 You might as well be in space while watching this movie as in space you cannot breathe and sitting in your seat watching Gravity may very well have the same affect. If I had to describe this movie in one word, that word would be “terrifyingly tense.” (Ok, that was two words, but in all fairness, one word just wouldn’t have been enough!) From the onset of the film it immediately pulls you in and does not let go…at all. I was sitting on the edge of my seat (you will too) the entire time unsure of the outcome and wondering just how Cuarón would take this launched adventure and land it in a satisfying way. He blasted my expectations out of the atmosphere. Impressive, beautiful, immersive and unpredictable, Gravity does not ease up its hold on viewers and captivates on multiple levels making it a complete experience for all who watch to enjoy. Visually it is nothing short of a masterpiece showing of the majestic beauty of space, the Earth and more. As the movie opens, it focuses on planet Earth (which tends to be a constant character of itself throughout the entire film) and I half expected to hear the Blue Danube in full 2001: A Space Odyssey style playing in the background. With such a visual presentation unlike any seen for quite some time, there is plenty to behold and admire in Gravity. The soundtrack is not only appropriate but it adds to every scene in getting across the emotion of every thing happening. It is important for a storyteller to make efficient use of each of the senses available and Cuarón does that here. Through the music, viewers will not only feel as if they are in space themselves, but also as if they are the ones in danger right alongside the astronauts in peril. Soundtrack and special visuals alone do not make a movie great. Cuarón completes the trifecta through a masterfully written story with believable characters and a cast that carries the story tremendously well. None more deserving of praise than Sandra Bullock herself as Dr. Ryan Stone. The reactions experienced while uncontrollably spinning untethered in outerspace makes the authenticity of the film’s scenarios come alive and hearts will pound in the chests of the viewers as uncertainty sinks in in terms of the fate of the endangered astronauts. Every struggle, every challenge, every “just out of reach” opportunity pulls audible gasps and sighs from the viewer full of hope unrequited. The backstories presented are simple and adequate given that the goal of each is to add to the emotional investment of the characters and offer hope. While not explored completely, it was not necessary to and thus is a tribute to the writing and editing of this film. A lot of effort and detail was put into making this film and it pays off. 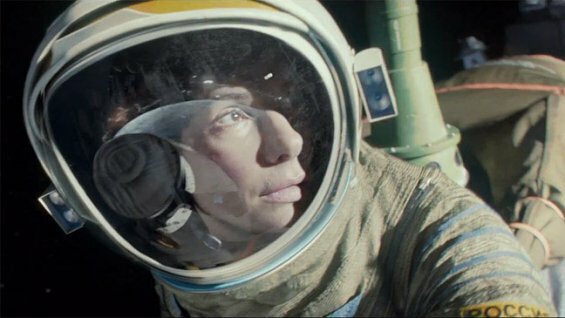 Keeping the interest all the way to the very end and making it difficult to figure out just where the film is going, Gravity teases with its terrifying and tense moments and pays off with proof that the pre-determined trajectory for his film was the best course among the stars that audiences deserve. One may wonder just what all can take place to keep the interest for 90 minutes in space like this. After watching, the question then is why can’t other movies be made like this that keep the attention every single second. 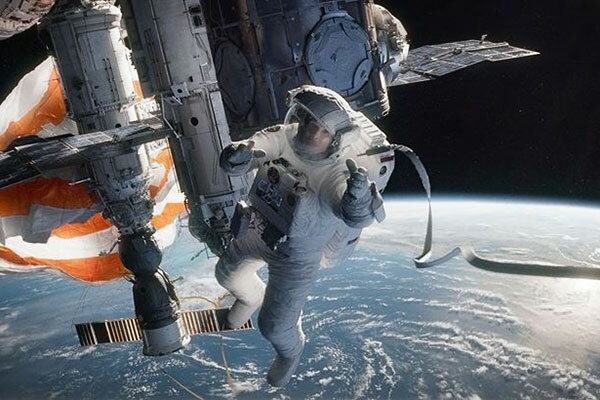 Amazing, stunning, striking, spectacular, gripping, masterful and intense, Gravity is a film not to be missed. There is so much more I want to say about this movie and feel my review inadequate. 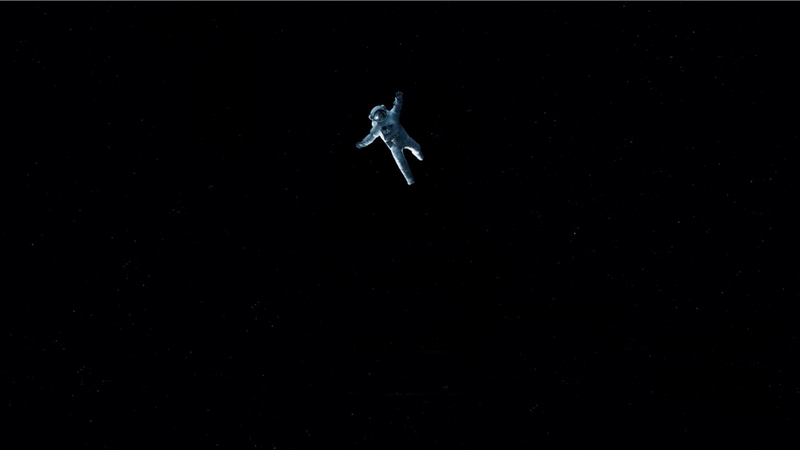 I have not had a movie keep me tuned in so much for its entirety like this in a long time…you just need to go see it for yourself and let Gravity pull you in! Have my ticket in hand for tomorrow! I love your enthusiasm for it. That’s the spirit my friend! Wow! 5 out of 5 eh? I must admit I am curious about this movie only because I want to see if they got the physics right. =) But now after reading your review I am even more intrigued. I think you will be impressed by the physics. Take a moment to watch the video I put up on TrailerTimeThursday for it today! Great work. Can’t wait to see this. I only skimmed through your review T., I plan to go see it tomorrow, unfortunately it’s only shown at the fake IMAX theaters since Warner Bros, wouldn’t produce any 70mm prints for the real IMAX. Oh well I can live with that. No problem. I wish I had a large large screen to view it on myself. So freakin’ tense that you just have to see it on the big screen. It’s almost a definite, no matter what. Good review T.
tense indeed, Dan the Man! whew. Thanks for reading. I am more curious now … great review. I was going to watch this because of Sandy but now I am also going to watch it because of the story. Glad to see this getting so much praise everywhere. Looking forward to it. I actually went to see it for a second time within a week! 🙂 Yes! That’s what I’m talking about my friend!